There are some wonderful pilgrim sleeping options dotted along the Camino path from St. Jean Pied de Port to Santiago de Compostela. Most charge a minimal amount of around 5-10 Euros per night to tired footed pilgrims, but there are also quite a few donativo places where pilgrims can bunk up for the night and pay a donation for their night’s stay; any amount which they consider reasonable for the quality of their night’s sleep and stay, with some pilgrims typically donating 5-10 Euros and others paying nothing for their complimentary night’s stay. I stayed in quite a few on my journey and while most were quite basic and what you would expect from a donativo option, some were memorable and the source of excited conversation among my fellow pilgrims. Located between Santo Domingo de la Calzada and Villafranca Montes de Oca. A large donativo housed in the church building, in the mystical village of Granon. When you arrive you walk the winding stone stairs up to the point where your boots are politely asked to be left with all the other pilgrim’s footwear, and you then get to meet the lovely Hospitalero/a (staff) who will explain that they don’t provide a pilgrim passport stamp but what they do provide is a hug. A hug ensues and you feel immediately welcome and at home. They also explain the donativo system here which is an open wooden chest on the reception table with a notice for pilgrims: Give what you can and take what you need. This is a very hands-on donativo, with pilgrims given the opportunity to volunteer to go shopping with the staff and of course then helping out with the cooking. There are three floors where pilgrims can stay and it’s my understanding that they never turn anyone away; always room at the inn here. Located between Castrojeriz and Fromista. This is a true oasis on the infamous Meseta region of the Camino de Santiago walking route in northern Spain and consists of simply two buildings in almost the middle of nowhere. It’s run by an association of Italian pilgrims who live up to their country’s reputation when it comes to the evening meal which they cook to perfection with love and passion, for the first ten lucky pilgrims to arrive first by 3pm (a maximum of ten pilgrims are admitted per night only). 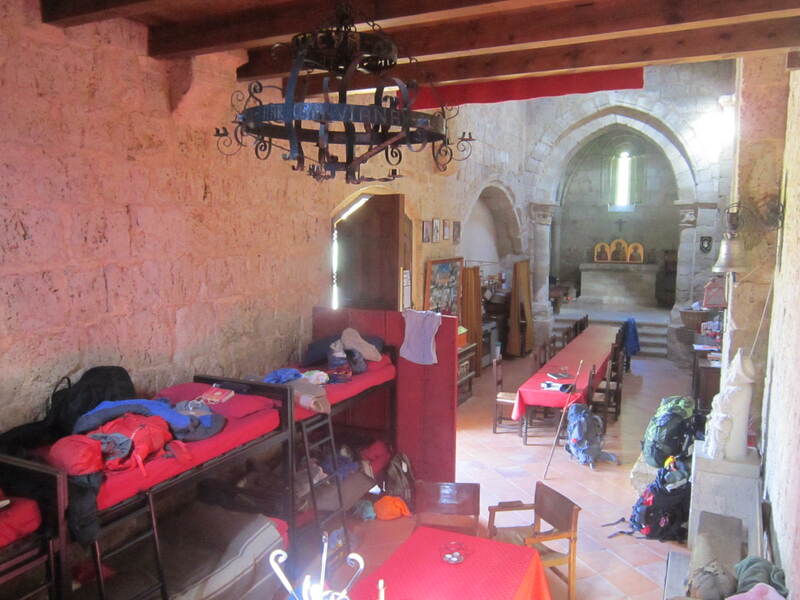 Pilgrims sleep in the ermita (small church) and have access to the excellent showers and washing facilities located a few steps behind in a separate building. Expect feet washing, incredible hospitality, more food than you can eat in one sitting, and an early morning personal prayer for the journey ahead. Located between Portomarin and Melide. Situated on the last 100km distance of the Camino is the small and easily forgettable village of Ligonde. Towards the end of the village though is a real diamond in the rough of these (sometimes too commercial) last 100km to Santiago de Compostela. It’s quite a small place and they do have a maximum number of fifteen pilgrims which can be accommodated overnight. Nine of the beds are located comfortably upstairs, while the remaining six stand by set up behind the main entrance if required, in the evening after dinner. This is a very personable and friendly sleeping option. Before dinner you might get to read a pilgrim’s note to yourself, taken from the message board where it was pinned up the day before; their inner thoughts written down and written for nobody specifically. Then you will have the choice to write something yourself, for the next evening’s group of pilgrims to read silently to themselves. A lovely exercise I thought and it really made me think about my place in the constant line of pilgrims walking with their own reasons for reaching the tomb of St. James. 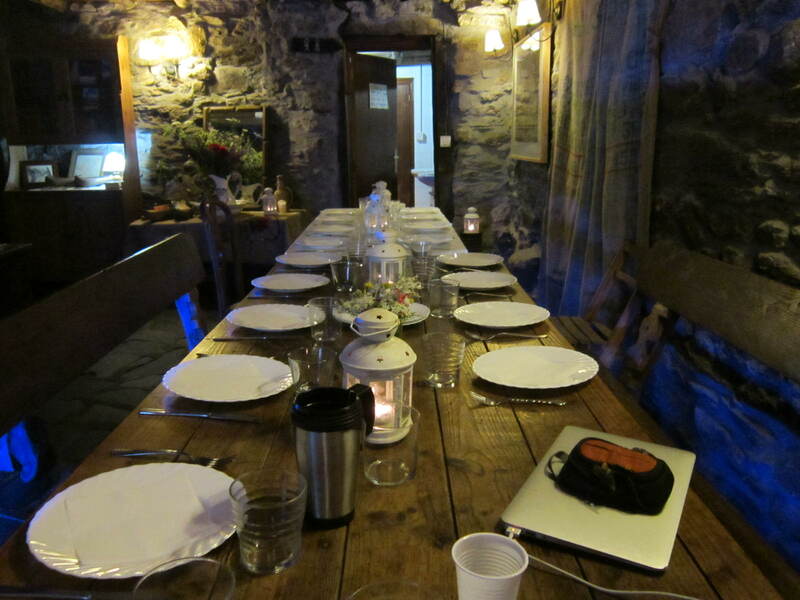 After a movie screening and a very good dinner, you will also get the chance to share Camino stories around the long dining table, in a very friendly and reassuring atmosphere. Breakfast is served in the morning and you are asked to donate to your night’s stay only if you can afford it. This donativo is run by a very helpful and friendly Christian association and the hospitalero/a are always around to see if you are ok and if you need anything. Located between Astorga and Ponferrada. Home to perhaps the last remaining Knights Templar on the Camino trail, the donativo sleeping option at Manjarin is a must for anyone wanting to capture something of the Templar legacy atmosphere, and for anyone who doesn’t mind going without quite a few creature comforts for the night. Pilgrims sleep either inside the refugio under the roof, or outside in the stone building which looks almost as weather beaten as the dogs belonging to the owners do which tend to disturb pilgrim sleep with barking all night, every night. The toilet is a latrine hole in the ground and the showers are non-existent. The food is cooked up by one of the three members of staff and it tastes not that great really if I’m being perfectly honest and very polite. 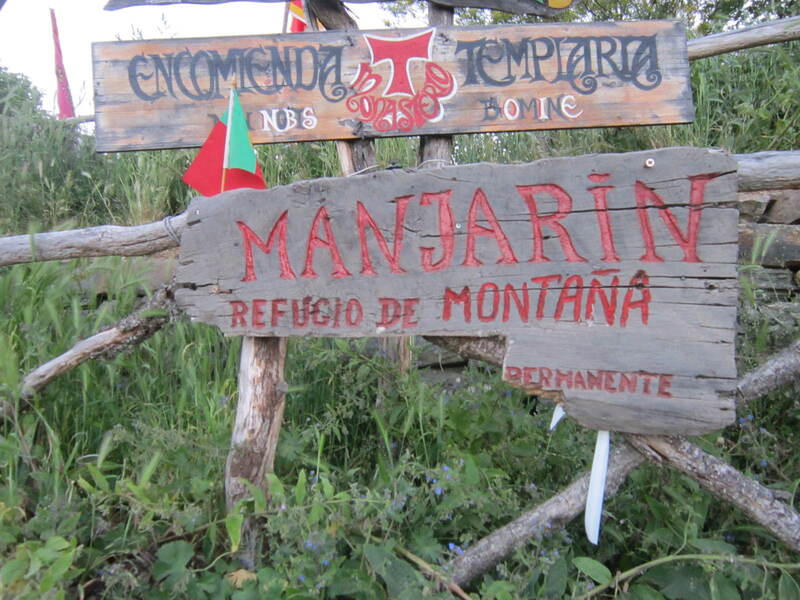 It’s a short walk from Cruz de Ferro – which was a very important and special place for the Knights Templar – and this refugio in the two building hamlet of Manjarin retains an air of Templar mystique. The owners, who consider themselves modern day Templar knights, often dress up as Templar Knights and perform rituals in front of pilgrims (although now I’m not sure to what extent the rituals happen because their elder comrade has recently spent time in hospital because of illness). A very basic breakfast is also served, but again with such an atmosphere you don’t mind if the coffee is weak or if the breakfast cakes are not the freshest. Get here early because they do have some sort of maximum pilgrim number system here (approx twenty pilgrims maximum) and it does get very cold very quickly as you are up on high ground here. Located between Vega de Valcarce and Cebreiro. This is a relatively new donativo sleeping option and its location is towards the top of the mountain walk which takes the pilgrim up quite a steep, demanding ascent onto the eventually visible mountaintop village of Cebreiro. 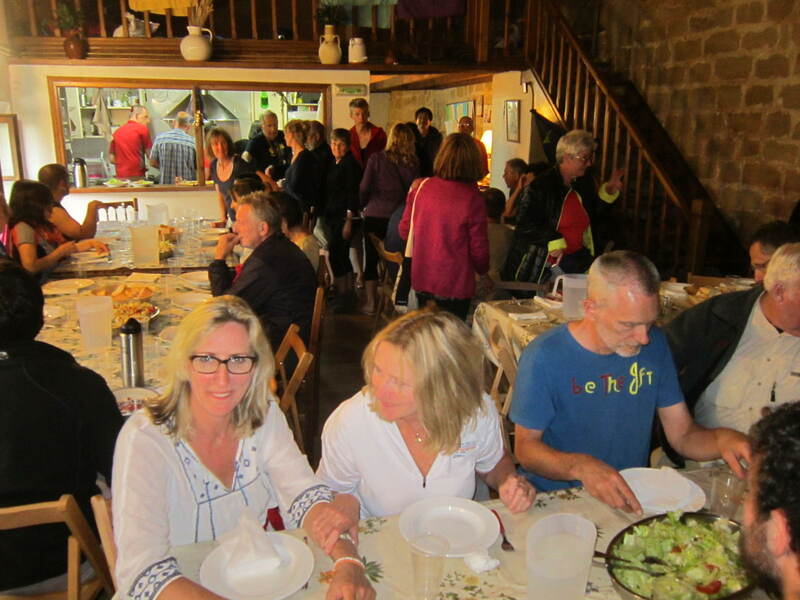 It’s the only vegetarian donativo accommodation option as far as I know of along the Camino path from St. Jean Pied de Port to Santiago de Compostela, and the owners are the lovely and peaceful people whom you would expect to be running such a place. You will need to get here very early on in the day because they accept just five pilgrims sleeping overnight in their very tastefully designed sleeping quarters. 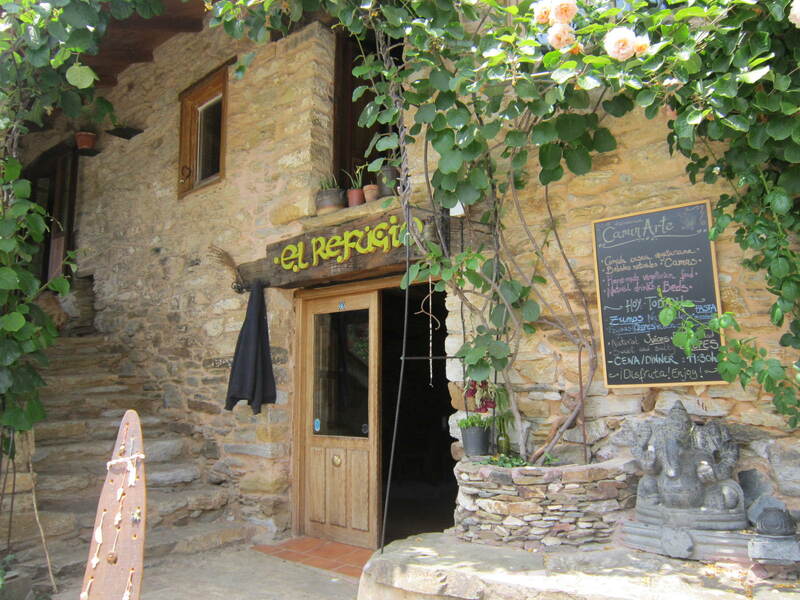 Dinner and breakfast are served with a loving smile and as you walk in and out of this zen point on the Camino you will have a chance to say a prayer to Ganesh if you like, who sits patiently in statue form to the side of the main door entrance. This is the sort of place that people would pay good money for a night’s stay and if you can grab a place then you definitely won’t regret this very refined and sophisticated donativo sleeping option. As an additional note, when staying at donativo accommodation options please do donate what you can afford and what you feel is reasonable for your night’s stay. There used to be more donativo options but many people consider these a free night’s sleep and eat, without donating anything and this I’m afraid slowly undermines and eventually stunts the growth and development of these islands of incredible hospitality along the Way. If you have any questions about donativo pilgrim accommodation or if you wish to add information, then please feel free to leave a comment or question in the Reply box below.